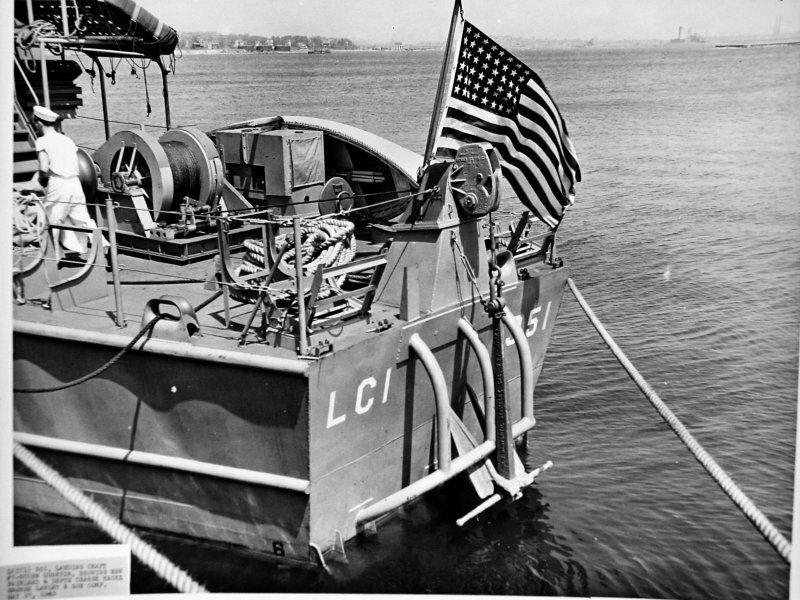 Laid down, 5 March 1943, at George Lawley & Sons Shipbuilding Corp., Neponset, MA. 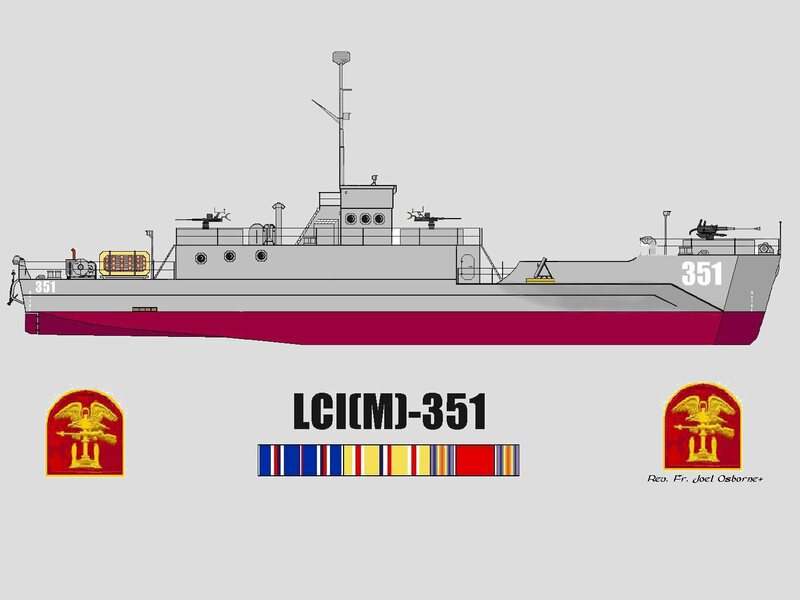 123k Stern view of USS LCI(L)-351 while moored at George Lawley & Sons Shipbuilding Corp., Neponset, MA. 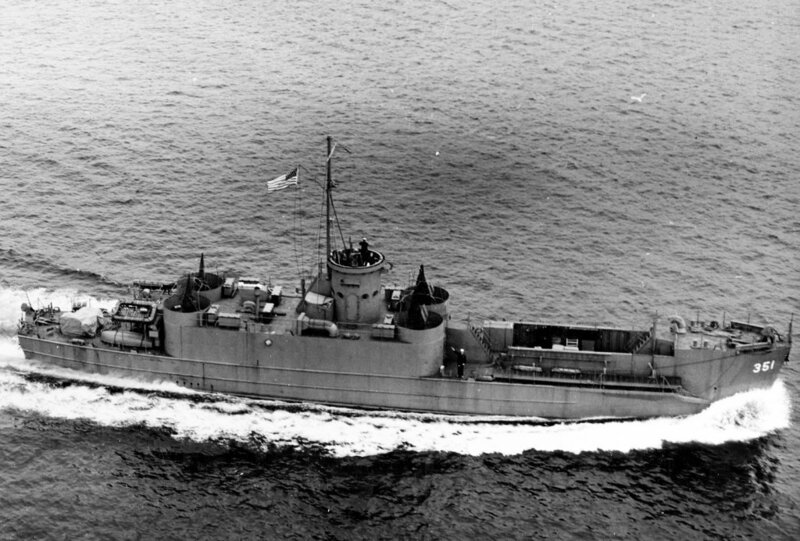 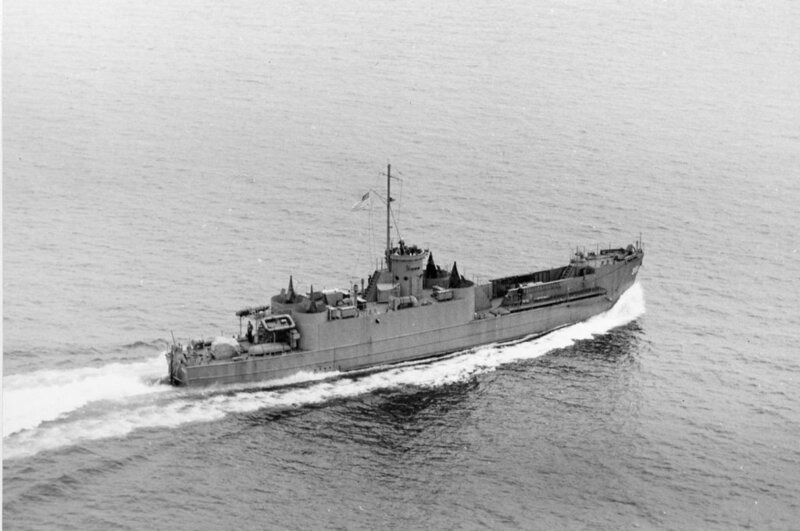 in May 1943. 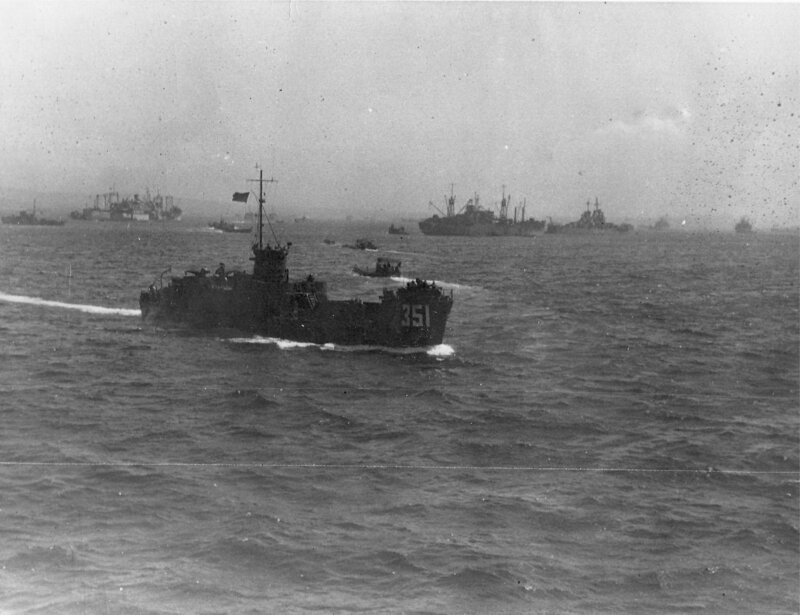 157k USS LCI(L)-351 under way off Boston, 20 May 1943. 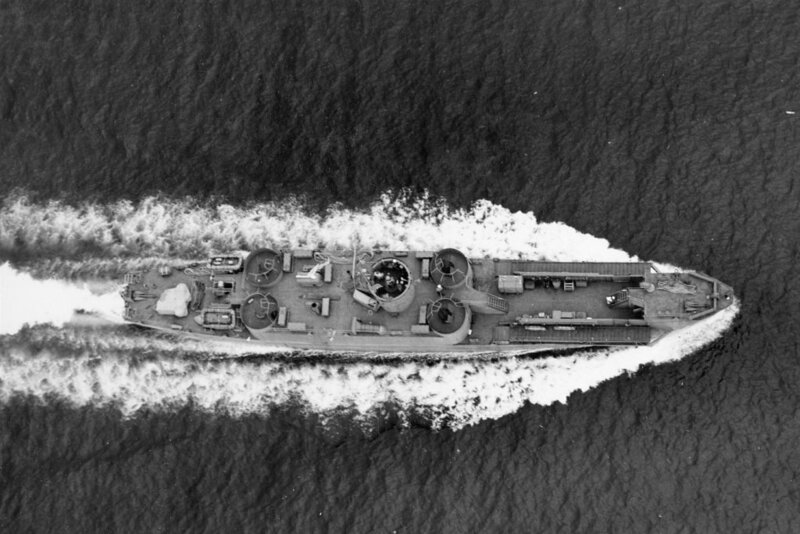 Note her new high round bridge structure, relocated 20 mm guns, and an enlarged deckhouse. 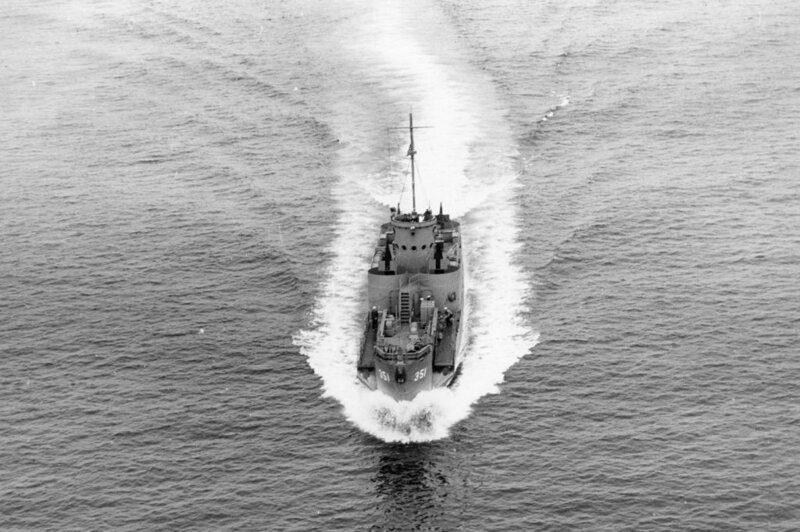 Later a fifth 20 mm gun was added atop the forecastle. 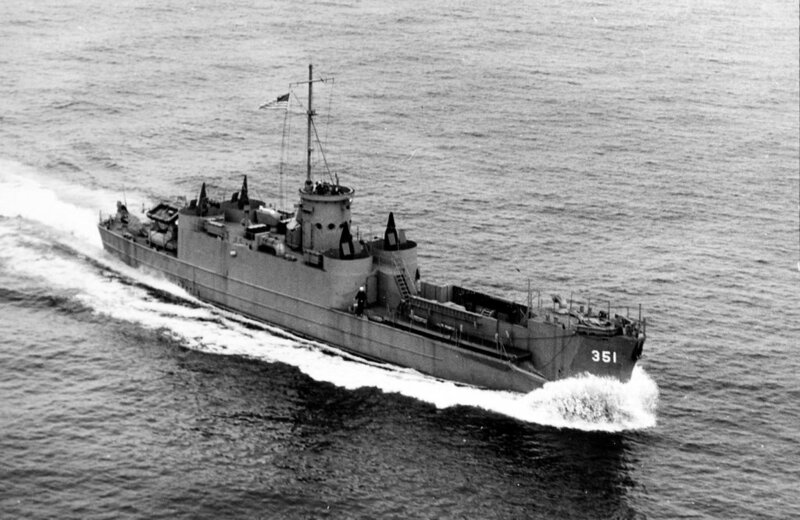 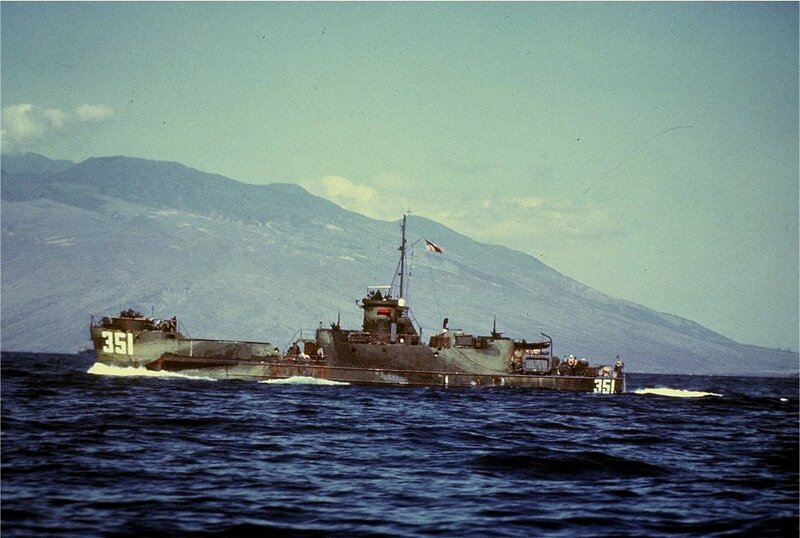 187k USS LCI(M)-351 under way, off Okinawa, date unknown. 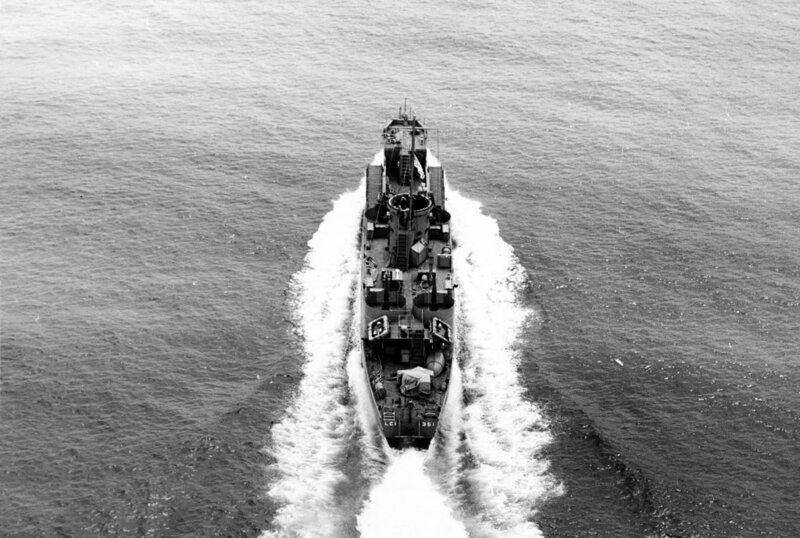 US Navy photo Courtesy Floating Drydock.